Whether for domestic or commercial purposes, installing window film at your home or business premises can be extremely beneficial. However, perhaps it would be more fitting to say that not doing so could be harmful. From solar damage to reduced security, unshielded windows can be much more of a problem than you might think. With window film, however, you can combat these problems while experiencing a slew of additional benefits, too. In this article, we will take a look at this in greater detail. One of the reasons why you might have already considered window film for your home or business is that it can help combat solar damage and glare. Direct sunlight coming through you windows can carry with it numerous problems, from the damage and fading of your furniture to the damage of your skin from UV rays. With window film installed, UV rays will be completely blocked without stopping light from filtering through, so you can appreciate the sun’s warmth and glow without the damage. 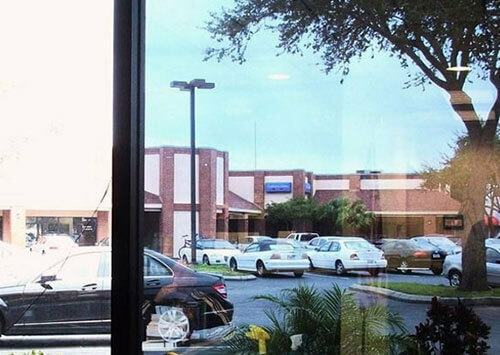 Whether you’re considering the security of your home, or you’re a business owner worried about protecting your premises, window film can certainly help improve the strength of your windows dramatically. But how? Well, once the window film has been applied to a particular panel, if the glass is struck, the shards will be kept together by the film, preventing them from scattering around the room and becoming hazardous. Moreover, not only will window film actually guard against hazards like broken glass on the floor, but it will also act as a deterrent for would-be criminals trying to enter your property. This is because window film will make it much more difficult and time consuming for criminals to break the glass. While window film doesn’t block sunlight coming through your windows, it certainly provide a little shade. This is useful for both the home and the workplace, since it can afford you some much needed privacy. For business owners, window film is also an excellent opportunity to brand your windows for passersby, thanks to the fact that window film can be personalised. So, whether you want block colour varieties or your logo at the centre of your window panes, the choice is yours. Thanks to the fact that window film can block UV rays, in the summer, it can also help you save on your energy bills too. This is because window film can help regulate the heat better indoors, meaning that you won’t need to use air conditioning nearly as much. We offer an extensive range of window film here at Sunstopper Blinds, offering much improved safety, privacy and protection for your windows either at home or in the workplace. Our experienced team provide expert installation of all window films, working to the highests standards of safety and quality on every job. For more information on our range of safety window film, don’t hesitate to get in touch with us today.